Former England Test batsman Brian Rose is to lead an independent review into cricket in Wales. Rose has been appointed by Glamorgan County cricket club and Cricket Wales, who say he will review coaching and player development. "Glamorgan Cricket and Cricket Wales are delighted that he has agreed to help with this review," said Glamorgan CEO Alan Hamer. Rose's initial recommendations are expected by the start of April. The announcement of the review underlines a new partnership between Glamorgan and Cricket Wales, the body which runs the non-first class game in the country. Part of the remit of the review is to look at ways of increasing the number of people playing cricket, and developing talent. 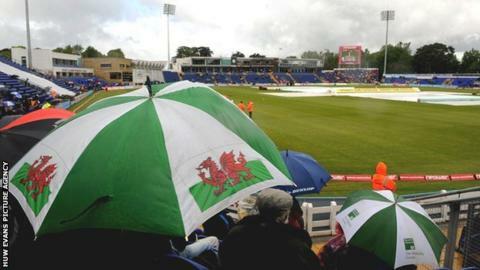 Cricket Wales' chief executive officer, Peter Hybart added: "The relationship between Cricket Wales and Glamorgan Cricket has never been closer. "We welcome Brian's involvement and are committed to increasing the numbers of talented young Welsh cricketers capable of playing professional cricket for Glamorgan." Rose played nine Tests for and two one day internationals for England and made 270 first class appearances for Somerset. As an administrator he held the posts of chairman of cricket and director of cricket at Somerset.